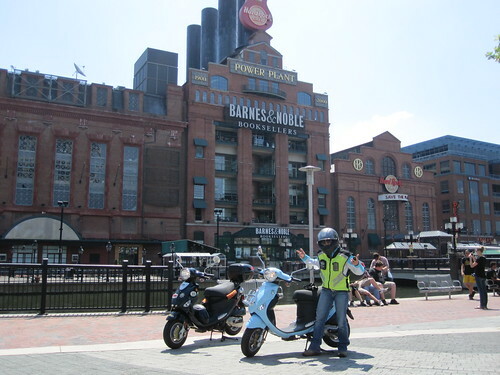 Modern Vespa : Baltimore Scooter Tag!! I'm from down in DC, but I passed through today. Baltimore needs an active scooter tag. The Maryland tag has been dead for almost a year, so I'll try to start one up for my neighbors up north. Maybe it'll generate some interest, if not, oh well. The first one's real easy, can't get any more centrally located. Maybe I'll play again when I'm up in those parts. I got my scooter right after you posted this, but I just discovered this site. Are you still in the area? I'm in Balto and up for some Scooter Tag!